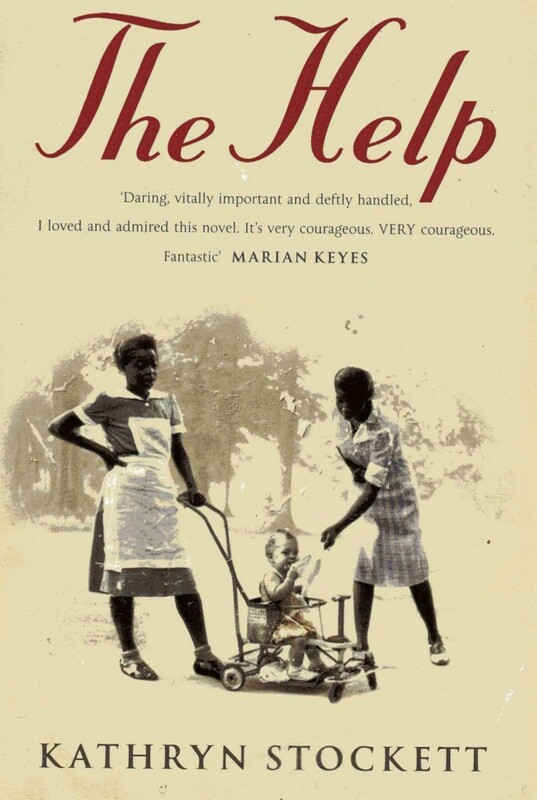 I enjoyed the book The Help. While I did have initial issues with the concept of black maids in the 60’s risking everything to work on a white writer’s novel, I liked the vivid personalities of characters in the novel, (the bad ones and the good ones), and I enjoyed the writing on a sentence level. All movies are different than the book- different media, different art, different relationship. I didn’t hate it- for me to say that about a movie that takes a little bit more of what Minny would call the heart palpitations. Despite the wonderful actors and the realistic costume design, I had some major problems with it. I can narrow it down to 3 elements from the movie that really drove me nuts. 1). Lack of suspense and intensity. The book is infused with a sense of danger throughout. The film downplayed that danger and the tangible tension present in every chapter of the book. One of the book’s primary strengths for me is that it portrayed so many emotions so believably—the deep sadness of Skeeter in slowly losing everyone important to her and seeing her mother dying from cancer, the absolute terror of living in Jackson Mississippi during this time, the bloody horror when Minny finds a miscarriage and a collapsed employer in the bathroom, the threat of sexual violence against female characters and rampant misogyny, and the Help’s ever-present fear of Miss Hilly, white people, and of racial and sexual violence on a daily basis, etc. It always felt emotionally intense. 2). In the book, no interaction was comfortable- the awkwardness between the society women, between blacks and whites, between Skeeter and her mother. The movie showed some of the awkwardness, but I was craving more, as weird as that sounds. Everything in the movie seemed a little too easy. 3). So, speaking of awkwardness, the third thing about the movie that bothered me most was a specific scene—Minny’s interaction with her employers at the end. In the novel, the last scene we have with Minny and her employers comes after Skeeter and Aibileen’s book is circulating through Jackson. Minny goes to work, anticipating that she will be fired, but her employers tell her she can have a job for the rest of her life. Minny and the Footes relationship could only be described as awkward and bizarre. Later, the conflict that has been building in the novel between Minny and her abusive husband Leroy escalates. Leroy locks her in the bathroom of their house and threatens to burn it down with her inside. She escapes, runs to the gas station barefoot, and calls Aibileen to tell her she’s going to live with her sister and she’s leaving Leroy for good. In the movie, Minny walks in (after thinking she’s being attacked by her employer Mr. Foote) to a magnificent feast prepared solely by Miss Celia Foote. Then the narrator says something to the effect of “that meal gave Minny the courage she needed. She left Leroy that night.” That’s when I almost screamed in the theater. What!? I’m sure you can see the problem with this discrepancy. The white family shows kindness to Minny, one of the most skeptical characters in the whole novel, and all of a sudden she decides to “turn her life around.” Although part of the comic relief in the movie comes from Celia’s confusing lack of racial and class boundaries, and well, boundaries in general, that feast just seems unbelievable. The narrative addition is just insulting to Minny’s character. It both takes from Minny and gives way too much to the Footes. In the novel, Minny was very brave. She did what she had to do, but she stood up for herself more than most. She was not afraid to speak her mind, except in her abusive relationship. Minny left Leroy to save herself, because the abuse had finally reached the point of threatening her life. That push to escape came from the realization that he could, and would kill her eventually, NOT a dinner from her white employers! This entry was posted in Cultural Studies, Patriarchy, Reviews and tagged Aibileen, Minny, Movie Watching, Race, Reading, Skeeter, The Help.